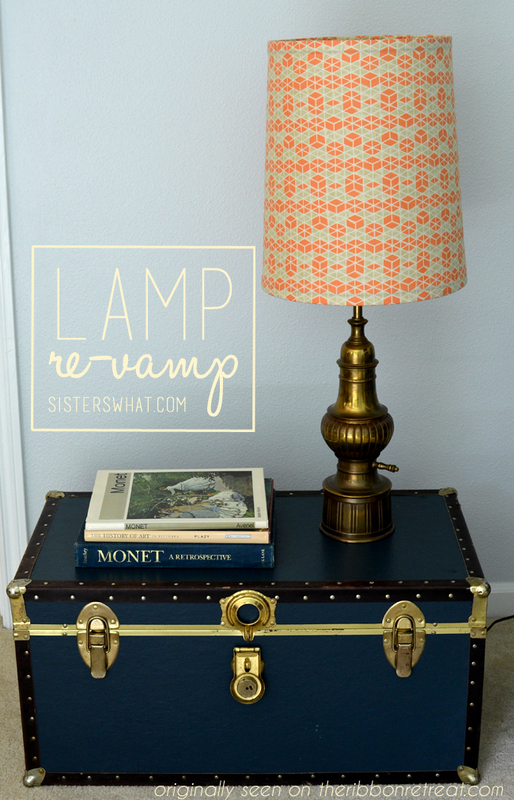 ' Lamp Revamp Tutorial - Sisters, What! Last year we moved into an apartment that had no overhead lights in most of the rooms. It was kind of weird since they were fairly new, but oh well. We knew the apartment was temporary so we didn't want to invest in brand new lamps. 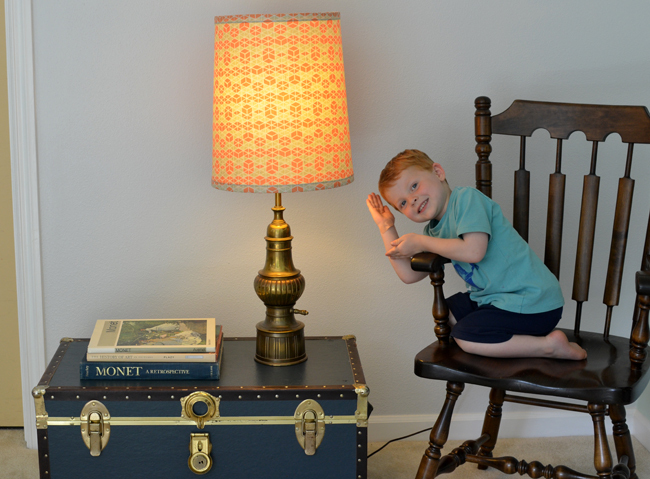 Thus we took a little trip to the thrift store and scored on this awesome antique lamp. All it needed was a little love and revamping. I thought about spraying painting the base, but honestly, the brass was just too cool as it was. 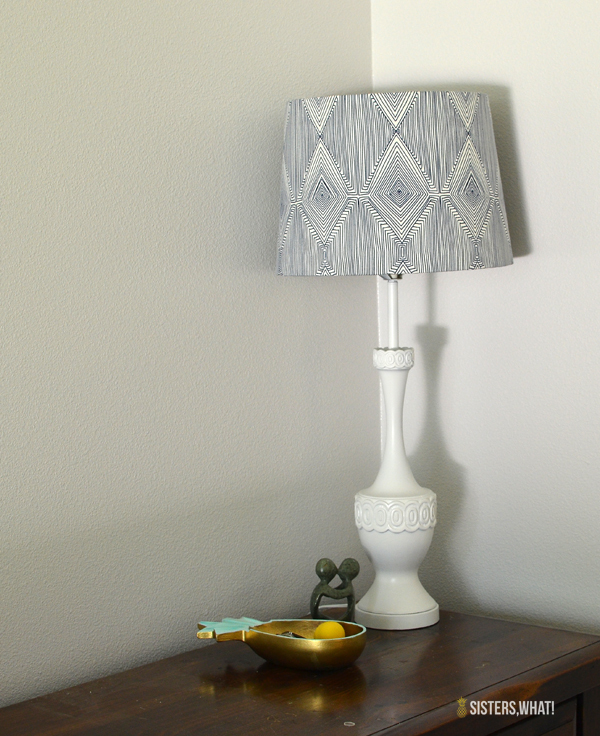 But then I decided to definitely revamp the lamp shade. 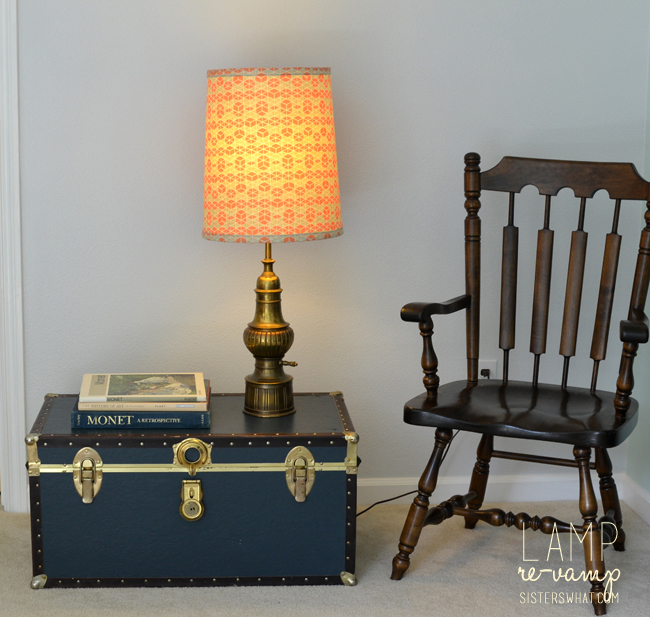 And I seriously love how it turned out and the fabric I picked was absolutely perfect with the antique base. And here is Captain Awesome showing you the lamp. He insisted on being in all the pictures, well he tried at least to be ; ). 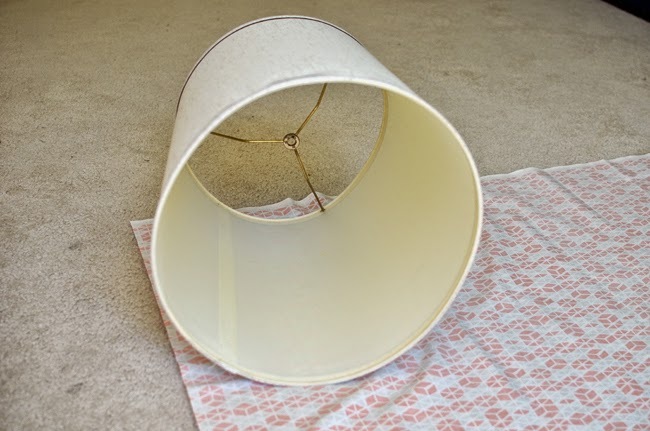 Lay your lamp shade on your fabric. 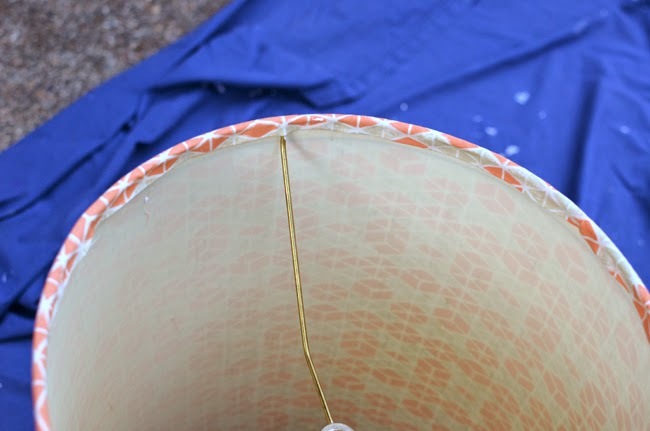 Make sure you have determined which direction you want the fabric to lay on the shade. 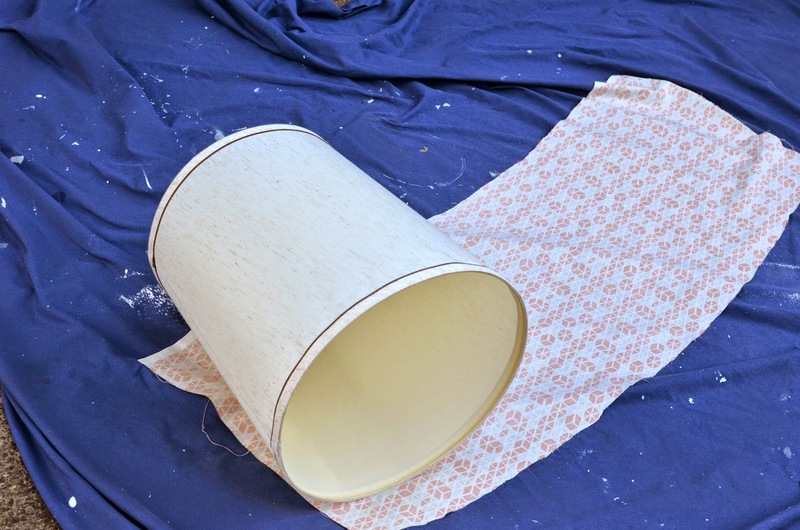 Now start from one side, start rolling your lamp shade along the fabric. 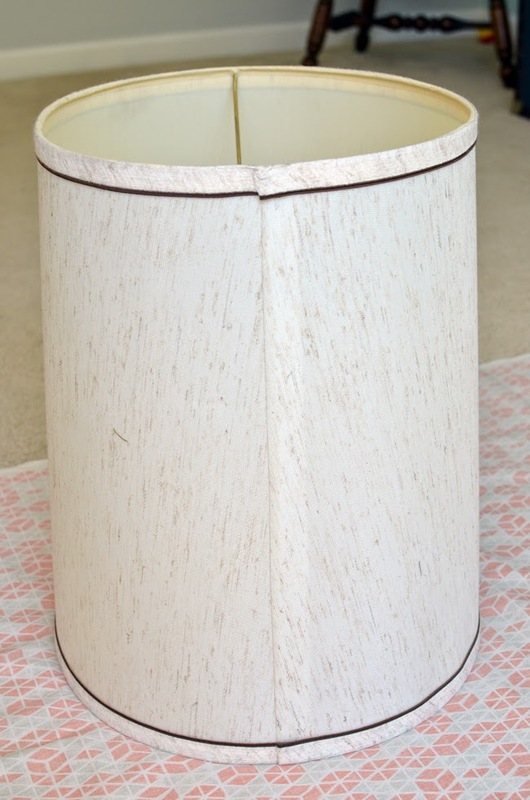 You want to mark it at the top and bottom of lamp shade - give yourself an inch extra away from lamp. Keep rolling and keep marking. Slowly roll it so that you can mark it evenly. You will notice that it will be a funny shape. Cut out that shape. And don't forget to iron your fabric. Unless you like a more wrinkled look. Now it's time for some lamp revamping magic. Go outside or somewhere well ventilated. Grab an old sheet or plastic sheet. But make sure it's clean. Now with your fabric face down on the ground, grab your spray adhesive and your lamp shade. 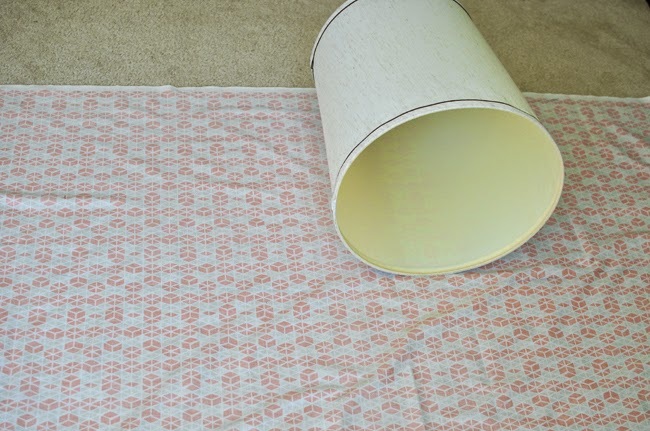 Lay your shade on the fabric and roll it to make sure it is properly matched up. 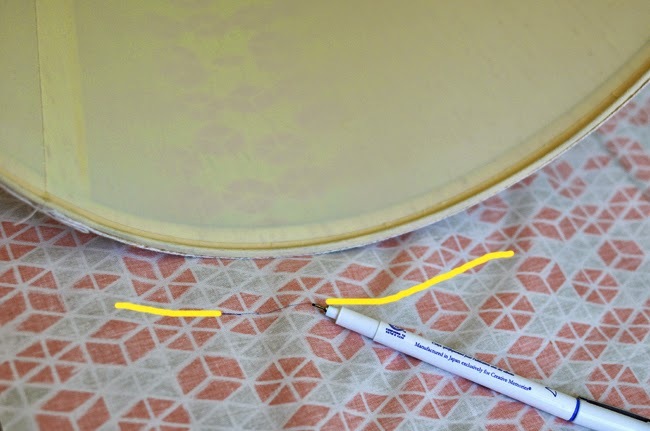 Ok now one spot at a time, spray your adhesive on the shade and slowly apply the fabric to it. You might need to pull of and readjust. Just be patient and go slowly. Make it easier and grab a hubby, I was not so wise. So it took me a little longer. 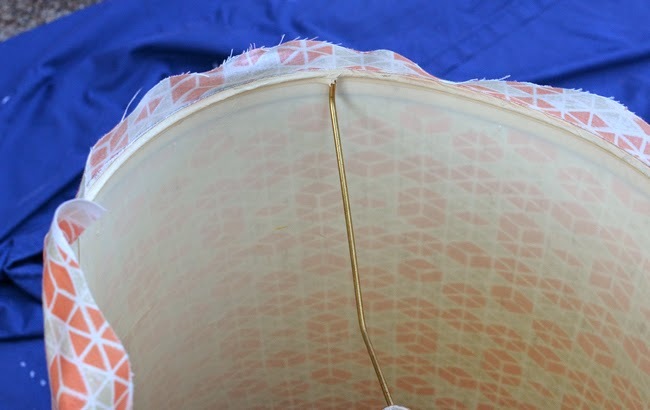 But no worries, just make sure you smooth the fabric as you go until it is all the way around. 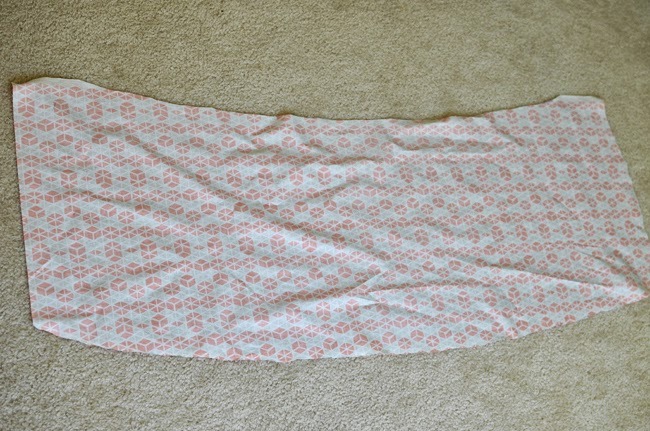 When you get to the end, fold the end fabric over and spray it on. For the top and the bottom, fold the ends over so you can't see the raw fabric edges. 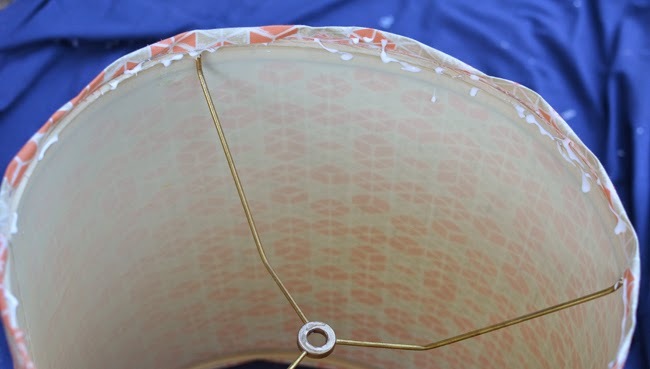 After it is folded over add some glue along the edge of the lamp shade. Be better than me and make a straight line, I clearly have issues. After you add the glue, fold it over. Make sure you did this for the top and bottom. And now....wait what! we're totally done!!! 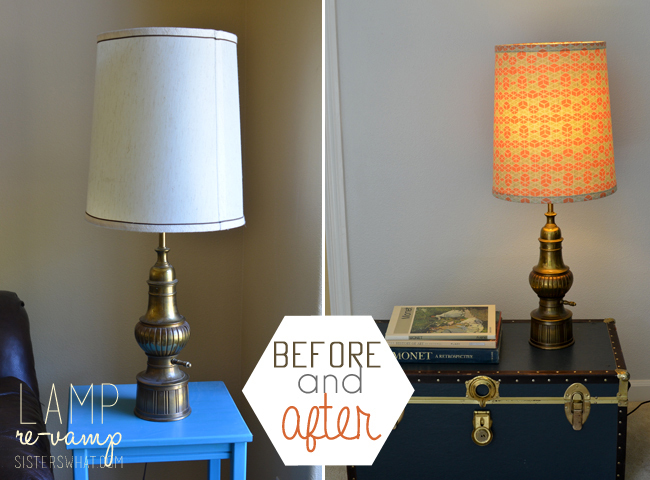 that lamp has been revamped!